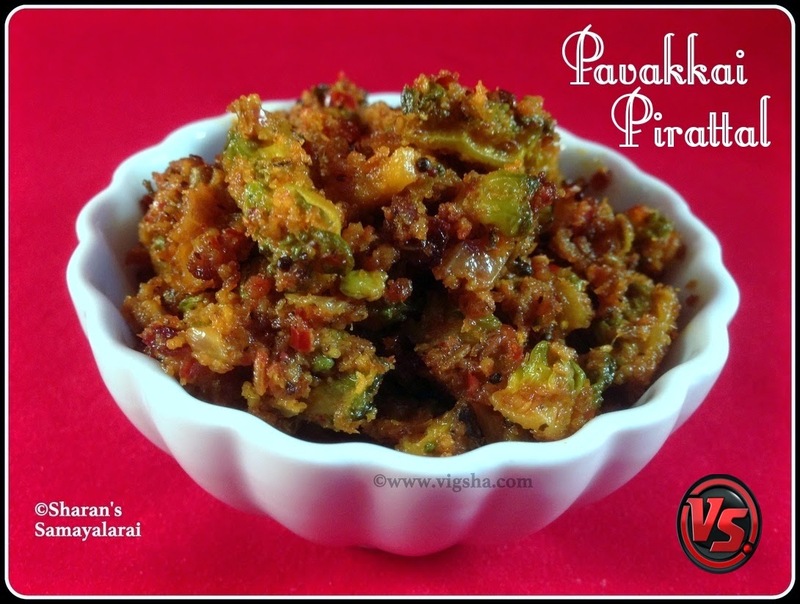 Pakarkai (Pavakkai) Pirattal is a traditional South-Indian poriyal recipe. Bitter-guard as name indicates bitter in nature, so many avoid this veggie. 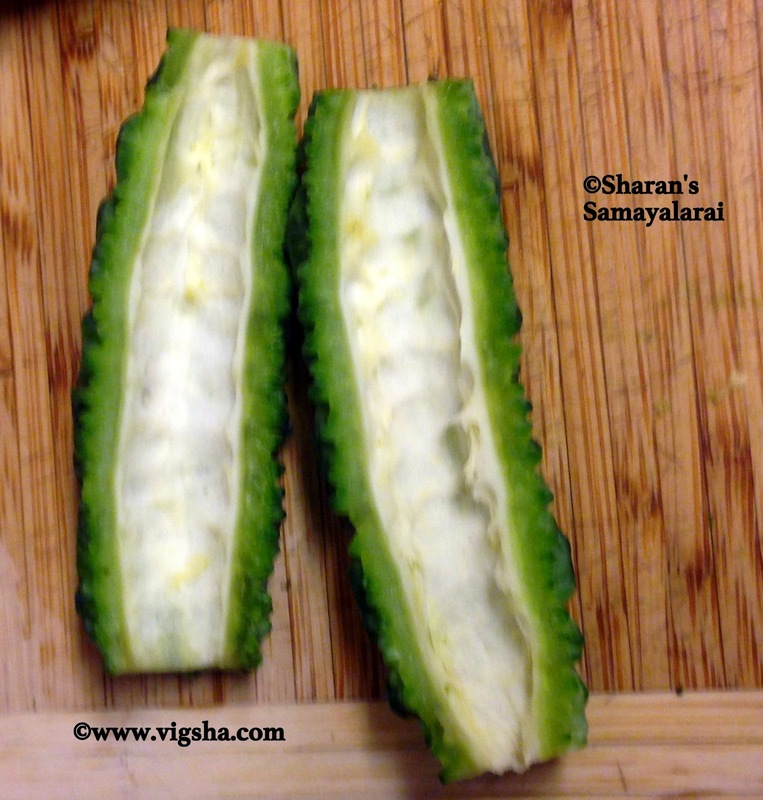 This veggie is loaded with lots of nutrients and it is good remedy for diabeties. This is my Mother-in-law's recipe, she prepared this when she visited us during last summer. I tasted it for the first time and it went well with Sambar rice. 1). Wash and cut the bitter-guard into two halfs. Discard the seeds and cut into thin slices. Keep aside. 2). Make a fine paste with red chillies, coriander powder, grated coconut, fennel seeds, cumin, pepper and water. 3). In a pan, add the bitter guard along with turmeric powder. Add enough water till the bitter guard is immersed. Boil it for 15 minutes till the veggie becomes soft. Keep it aside. 4). Heat oil in a pan, add mustard, fenugreek and let it splutter. Then add onions along with salt and saute till translucent. Add cooked bitter guard and mix together. 5). Add the grounded paste and combine everything together. Keep stirring in between to avoid burning. Saute till it starts browning and veggie is well coated in the masala. Serve with steamed rice and sambar.